When you feel like your home and your yard are being overrun by pests, it can be very frustrating. Whether you have a problem with mosquitoes, spiders, ticks, fleas, roaches, fire ants, termites, or even rodents, they are bothersome and can become very annoying to deal with. Trying to get rid of them is hard because it can feel like no matter what you do, they still come back. Don’t let pests, bugs, and rodents be a source of stress and frustration for you — call in a professional for indoor and outdoor pest removal. You might be wondering if it is necessary to pay someone to get rid of bugs. 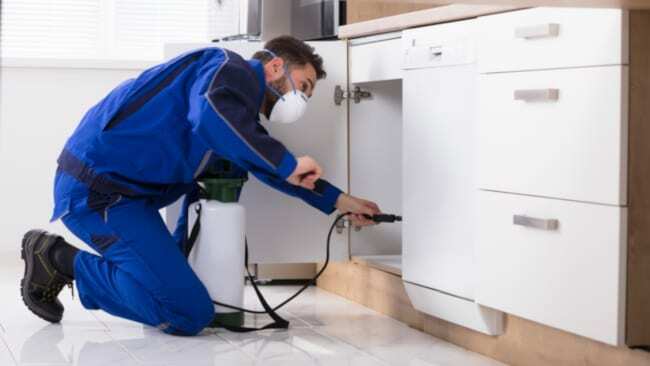 What you might not be considering is that a professional has special training and experience dealing with all kinds of pests. A professional will know exactly what to use to get rid of fire ants and what works to get rid of mosquitoes, for example. They will also know how to safely apply the sprays to make sure that you and your family are not harmed by toxic chemicals. A professional will get much better results because they have the knowledge and skills to get rid of pests for good. Pest removal will be fast and stress free for you when you let a professional handle it. If you are interested in indoor or outdoor pest removal for your home and property, contact us today at The Other Side Lawn & Ornamental Pest Control Inc. We are highly qualified and trained and we have all the knowledge and tools to get the job done right. Don’t let pests stress you out — we can help!